Wood Flooring Danbury | Hardwood Floors CT | Flooring Contractor 06810 - Zoltan European Floors, Inc. The key to the lasting beauty of your wood flooring investment is the proper maintenance for the life of your floor. 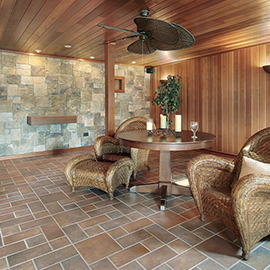 Below are some excellent guidelines for maintaining modern wood floors. Regardless of how the wood flooring has been finished, there are certain steps that must be taken to maintain the beauty of the hardwood floor. Every floor must be dust mopped, vacuumed or swept with a soft bristle broom daily, or as often as necessary, to remove grit and dust from the surface. Walking on a dusty or dirty floor is the fastest way to damage the finish. Place walk-off mats at all exterior entrances. This will capture much of the harmful dirt before it even reaches the hardwood floor. Shake out, wash or vacuum mats and area rugs frequently. Floor protector pads of soft felt or similar material should be placed on the bottoms of the legs of the furniture. 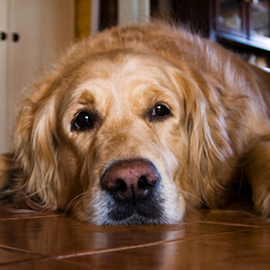 Floor protectors must be kept clean of grit and periodically replaced. Kitchen floors experience the most traffic in a home. To prevent premature wear of the floor, place an area rug in front of the sink and stove area. 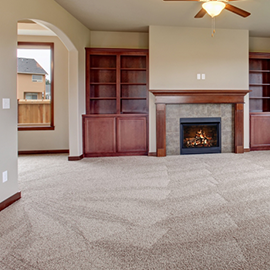 Shake out or vacuum the rugs frequently. Remember that cleats, sports shoes, and high heels can dent any floor surface. When a 125 pound woman takes a step in high heels she exerts 2,000 psi (pounds per square inch). An exposed heel nail can exert up to 8,000 psi. Keep high heels in good repair. An unprotected tip will dent any hardwood floor. When moving heavy furniture, completely pick up the furniture and carry to another room to best protect the wood flooring. Finally, using a humidifier or dehumidifier in conjunction with a furnace or air conditioning system to maintain relative humidity in the home at 30 to 50 percent will maintain the moisture in the wood and minimize cracks between the boards. 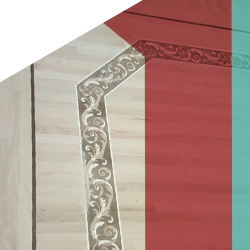 Routine Cleaning — Use the finish manufacturer’s or the prefinished floor manufacturer’s recommended cleaning system. If the manufacturer is not known or has no recommendation, use a cleaner that will not leave a residue that would inhibit bonding and recoating. Never wax a urethane finish. Do not generally wet a wood floor with water. When using any wood floor cleaner which requires mixing with water, follow mixing directions precisely. A cloth wetted with water and squeezed dry may be used to wipe up food debris and other spills, provided the area is buffed dry immediately. Heel or scuff marks and stubborn stains may be removed by lightly rubbing with a cloth and a wood floor cleaner. 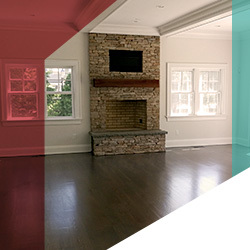 For more information on how to manage your hardwood floors, contact a flooring contractor.